Mr. G's musings: Everybody who has lived and died on Earth and the number of people who are alive today. 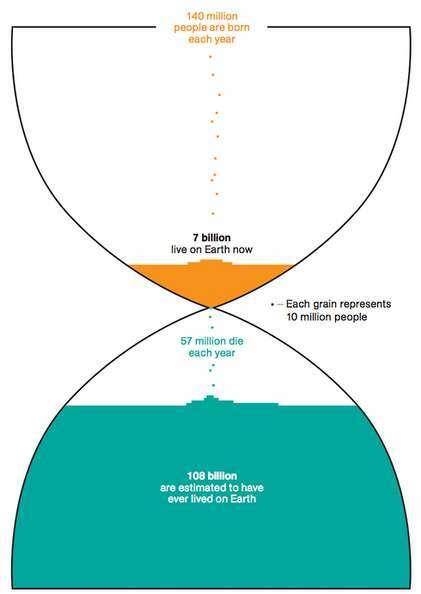 Everybody who has lived and died on Earth and the number of people who are alive today. I'm taking an Anthropology class. Funny thing that I found this graphic online which answered several questions I've been compelled to ask by the class. This sums everything up very concisely.